Games section which features Dinosaur Rescue™, a game that allows boys to take on the challenge of capturing a dinosaur on Volcano Island. Can you catch the dino? Toys section which features our key drivers and links directly to our Mattel Shop home page, where consumers can purchase our toys directly. This is a great update, but look forward to additional video content and games, as well as the full activation of our vehicles section to include an illustrated catalog of our core die cast collection with downloadable poster. We are also in the process of refreshing our Mattel Shop home page to create an even more consistent consumer experience. This is a small step for the Matchbox brand as we accelerate our efforts to refine our online/digital experiences and put Matchbox in a position to grow. …Now GO check the site out already!!! REMEMBER – you may need to clear your internet browser cache to view the new website. As the message states, the site is evolving and a downloadable poster is in the works so stay tuned. Hope everyone is having a wonderful day!!! We have a lot to cover in this report. We have a nice selection of new product to show and I’ll be showcasing PrePro’s from the TV Series Viper. The history section will feature Viper Series PrePro’s from Chuck Wiersma’s Collection. But first let’s get to the new models. 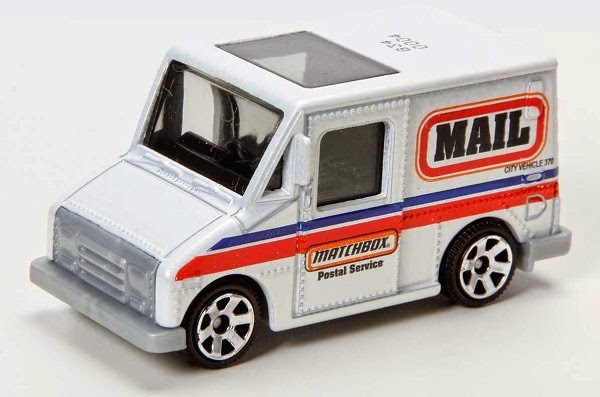 All images are courtesy of Mattel & the Matchbox Team and are used with their permission and consent. 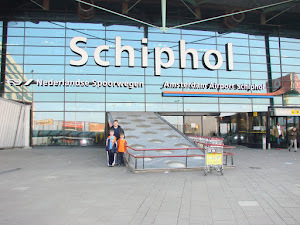 Enjoy my latest report…. Window has been added to the roof. Rear door which was part of the body is now part of the interior which will be black. Front grill is now molded to the front bumper instead of being part of the body. This will be a new variation for this model. The new MB number is now MB993. This also means there will be 2 to collect this year…in case you were wondering. Up First is the Runway Wrangler, fully dressed for production this time. It will be part of the 2015 singles. Next is the new deco for HUMVEE that will be used in the 2015 Mission Force “Strike Force” Military pack. 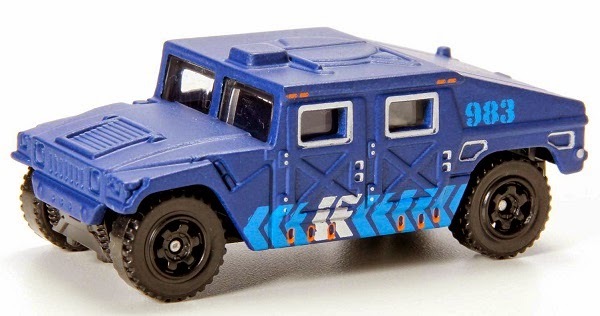 This is a retooled model that no longer includes the gun or the opening hatch, but the body is still die cast. The new MB number for this is MB983. This version of our SWAT truck will be part of the 2015 mainline singles. 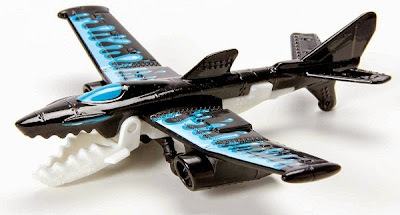 Lastly we have the refreshed Sky Buster Fang Fighter with moving jaw. 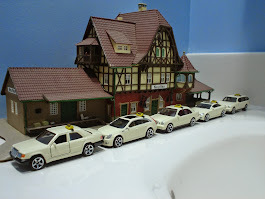 Since the Delivery Service Truck has been retooled, which version will be harder to find? The original version may be harder to find. What Does UVHA mean on the tampo printing design of some models? This stands for: Unstoppable Vehicles for Heroic Adventures. If the Mystery Models or Supreme Heroes sell well, is there a possibility of a series 2 in 2016 or is this just these issues and done? We cannot discuss what is in the cards for 2016 at the moment. Will the Supreme Heroes Collection be available worldwide? Thus far it will be U.S. and Canada but may grow to other regions. This line is scheduled for a December 2014 Launch. Why don’t more fire engines have red lights on the roof? Seems to be clear or smoke in most cases. Many of our current models will no longer have separate light bars due to cost, so the light bar is combined to the window. That being said, if the light bar is red or blue it means the entire window must be that color. Many collectors have had issues with us doing this which is why the window color is neutral. We will on occasion use tints if this works with the deco. 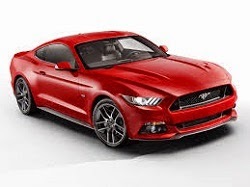 Have you been looking into introducing the new Mustang for the lineup? Possibly. Are Mission Force Sets going to be all exclusive or a mix of mainline models? 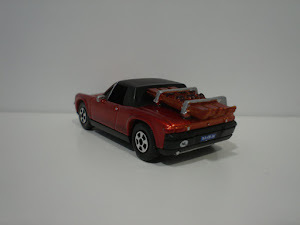 It was noted that the Construction Set had 2013 models and the same SkyBusters from the previous set containing the Real Working Rig. Mission Force sets for 2014 & 2015 have exclusive decos and contain 3 Matchbox basic vehicles and 2 Sky Busters. They no longer include Real Working Rigs. Are Real Working Rigs gone for good or just for now? Real Working Rigs have not gone away, but currently they have been carry forward items (no new deco) in revised packaging. While they may be hard to find, they are not gone. 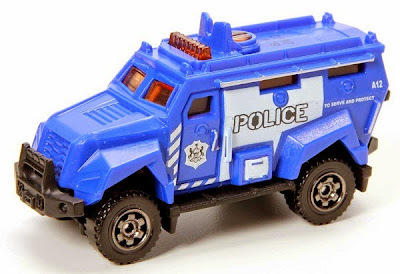 Does Mattel still have field reps that go to stores? Do they offer feedback on what is selling and how the product is displayed? This information is confidential. 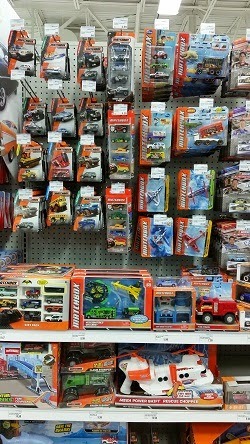 Does Matchbox have a say-so on how your product is arranged in the stores? Presently Target has the singles at the very top which makes them out of reach of the kids and some adults. This information is confidential. Will the Ford Interceptor have a running change to correct the misspelling? And if so…which variation will be harder to find? Yes, the spelling change for the Ford Interceptor is currently in progress. We are unsure which version will be the hardest to find. What is the release date of the 2014 Chevy Silverado? This should be released in October of this year. 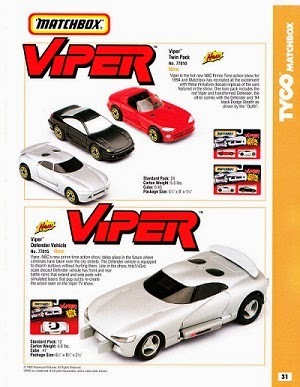 In this issue’s PrePro’s section, I am featuring models that were never released from the TV Series Viper. Below is a page from the 1994 Tyco Matchbox Dealer’s Catalog. This would have been a nice set……. 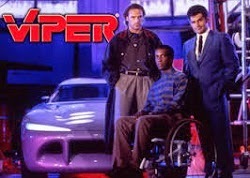 Here is a YouTube link to the original commercial for the TV Series Viper! Pictured below are the preproductions of the Morphed Viper and Dodge Stealth. These are from my collection. 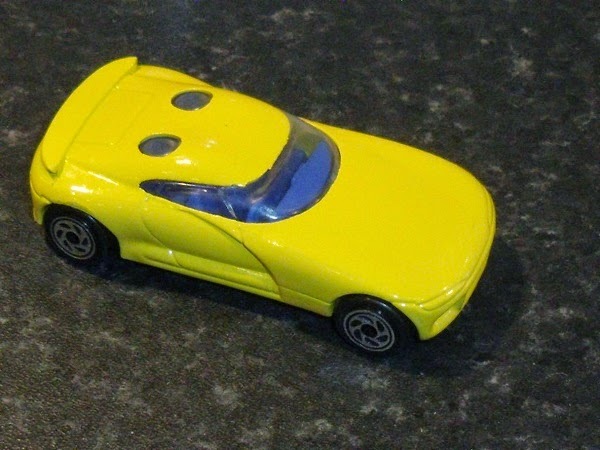 I just obtained the yellow Viper after a long 17 year search. As you can see, it was well worth the wait!! For the next part of this article I asked our 6th Ambassador, Chuck Wiersma to show us his Viper Series Collection. 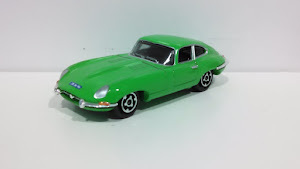 Please read his wonderful story about the history of these models. His collection is second to none!!! Thank you Chuck!!! Above is a lemon yellow Morphed Viper. 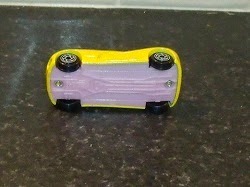 It has a dark blue interior and a pink riveted base without text. Below is the earlier version of the Dodge Stealth in black and a grey interior with the wider body that Dodge didn’t approve of. 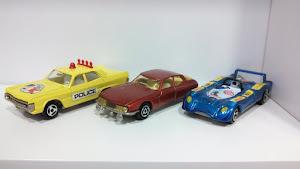 In the 1990’s, Tyco Matchbox worked with the Chrysler Corporation to develop several die cast models. These models were affiliated with a US television show called Viper. Two models made it to a short run preproduction phase before being cancelled. The third model also made it to a short turn preproduction phase only to be cancelled, salvaged as another model, and then recreated from scratch only to be cancelled for the Viper series but eventually issued in the regular MB 1-75 line. 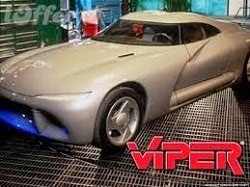 The Viper television show was about a top secret task force of the US Federal government using a super tech vehicle in the form of a Dodge Viper. The car in its “street form” was a Dodge Viper RT/10. 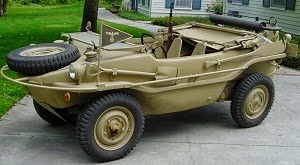 The vehicle could morph into the “Defender” which featured armaments and gadgets that were used to defeat the bad guys. A black 1991 Dodge Stealth was also used intermittently in several episodes of the show. The show first premiered on the NBC network in the USA in 1994 but was cancelled in its first season. The show was later syndicated from 1996 to 1999. The star of the show was the Viper Defender or Morphed Viper. The model is the MB 265 or Viper Morphed as it is called on its base. 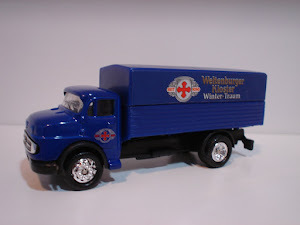 Like most Matchbox designed models of the day, the sample was first made in resin and then cast in metal. 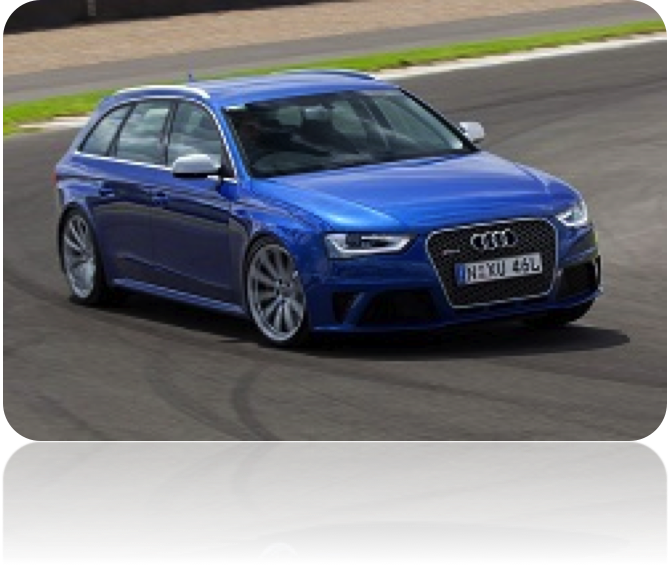 Some slight alterations were made to the model between the earlier resin stage and later metal stage including less pronounced details on the hood, a smaller circle cast on the roof, a larger grille, larger exhausts and taillights on the rear, as well as a reinforced wing on the rear. Overall, the models appear very similar. Side by side, unpainted MB 265 Morphed Viper on left and painted resin MB 265 Morphed Viper on right. 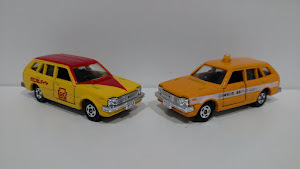 The metal preproduction samples were made in two liveries, one in regular silver and the other with “battle damaged” deco. Both samples appear as factory finished models with fully engraved bases, interiors, windows, and full tampa deco liveries. The models are fully assembled and riveted. Both models have grey plastic interiors, tinted windows, black plastic bases, red taillight trim, black trim on the rear section, and white tampa headlights. 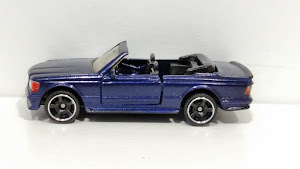 The models were manufactured with a metal strip in the base, a production standard at the time for many Matchbox models, to give the vehicle a suspension feel. The wing was cast to the body and the wheels were a chrome six spoke spiral. The bases were engraved with Made in Thailand, Matchbox Int’l Ltd, 1994 copyright, and 1:60 as scale. Morphed Viper battle damage on left, Morphed Viper no battle damage on right. 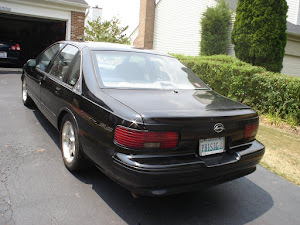 Note tampa detailing around exhaust, on taillights, and on headlights. One surprise - the model has a right hand steering wheel! 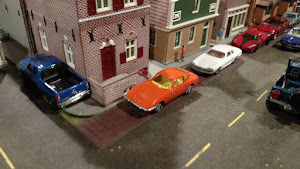 Was an interior from another model used on these development models? The gearshift is also on the right side of the center console. As the model was never released to the public, when samples can be found they usually demand a premium price. The second model designed in connection with the television show was the MB 264 Dodge Stealth R/T Turbo. This model has a bit more history behind it. The Dodge Stealth, like the Morphed Viper, made it through the resin design stage all the way to metal stage and eventually to a limited preproduction run before being cancelled. It has two known design liveries. The first in all black with tampa trim on the fog lights, turn signals, and taillights. The second with a black and green leopard stripe and no other tampa trim. 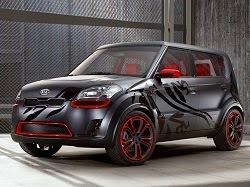 Models sport black interiors, tinted windows, six spoke spiral wheels with chrome hubs, and black plastic bases. Like the Morphed Viper, sample preproduction models had fully engraved bases, riveted bodies, and complete tampa deco. The bases were engraved with Made in Thailand, Matchbox Int’l Ltd, 1994 copyright, and 1:60 as scale. 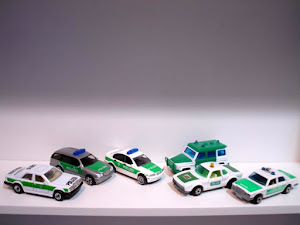 Group shot of the MB 264 Dodge Stealth (from left to right) Green and Black leopard stripes, all black livery, and two unpainted first shot castings with blue interiors, white plastic un-engraved bases, and clear windows. 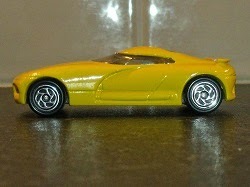 According to die cast legend, Dodge did not approve the Dodge Stealth model as it appeared too “thick” or “fat”. The Tyco Matchbox team went back to the drawing board and started to redesign the model with a sleeker profile. However, the redesign never made it past the resin stage of development. 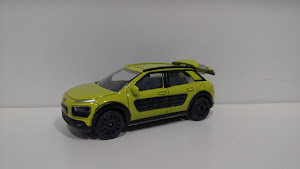 Interestingly enough, the redesigned model was decorated with the same two liveries as on the original MB 264 die cast model, all black or black and green leopard stripe. 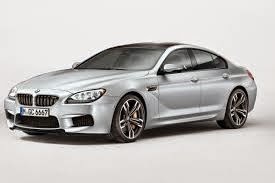 The redesigned resin model included additional detailing on the hood, sides, and rear of the model. Unfortunately neither model was ever released to the public. Dodge Stealth original MB 264 on left and redesign resin on right. Dodge Stealth original MB 264 on left and redesign resin on right. Notice the redesigned model appears sleeker. Dodge Stealth original MB 264 on left and redesign resin on right. Notice same deco designs used on both. Group shot of the second Dodge Stealth model in various stages of development. Note green and black leopard stripes and all black models. The third model affiliated with the show has a history all its own going back before the Viper TV show. The MB 227 Dodge Viper RT/10 model was originally designed in the early 1990’s had a lower profile and featured a wraparound windshield, closed front grille, and bump out lights on the rear license plate. The unreleased MB 227 Viper in metal on the left and resin on the right. The only tampa trim on the model was on the headlights. 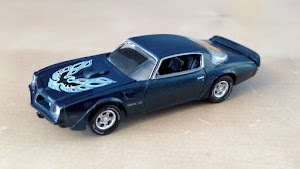 The wheels were Goodyear Eagle racing slicks and the rivetted black base had a 1990 copyright with scale of 1:58. Despite the fact that this model made it all the way to the metal stage, it was not approved by Dodge for release. In order to salvage the investment in the design and tooling, the model was modified into the MB 227 Sunburner. 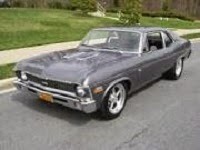 Heavy modifications were made to the model especially in the grille, hood, and side areas to change it to the generic Sunburner casting. Now four years later, during the development of the MB 265 Morphed Viper and the MB 264 Dodge Stealth, the development of Dodge Viper RT/10 is undertaken once again. 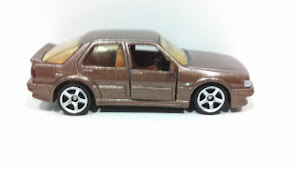 This project is started from scratch and the vehicle is developed as a wholly new model. The casting number is assigned MB 260 and it has no relation to the previous MB 227 casting. The model has a higher profile, does not feature a wrap-around windshield, has new body detailing, and sports six spoke spiral wheels. All parts are new: body, windshield, interior and base. 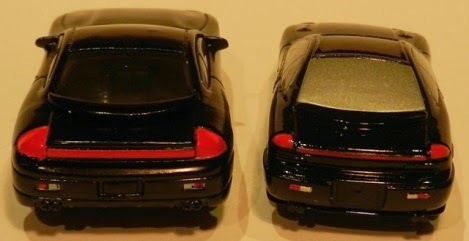 This pic compares the unreleased 1990 MB 227 Viper RT/10 (left) and an unpainted MB 260 Viper RT/10 (right). Notice the difference in height profile between the unreleased original MB 227 (left) and released MB 260 (right). A HUGE THANK YOU GOES OUT TO CHUCK!!!!! I’m doing something different in this section. Since there was nothing new in the stores to report about this time around, I decided to show you this picture instead!!! I was at Meijer’s this past week looking for the rest of Batch K. I did find the International Brush Fire Truck, but I found something even better…..a complete selection of Matchbox!!!! 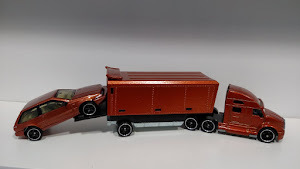 This is Matchbox Done Right!!! I’m thinking that you should print this picture and take it to your local big retailer (no names necessary) and tape this to the pegs over their plan-o-gram so they get a clue on how to display this company’s merchandise!!! A BIG thank you goes out to Meijer’s for keeping the faith!!! We have a nice selection of ideas that were summitted to me from several collectors. I still have 23 pics waiting for their turn, so if you didn’t see your picture this time, watch for it in one of my upcoming reports. 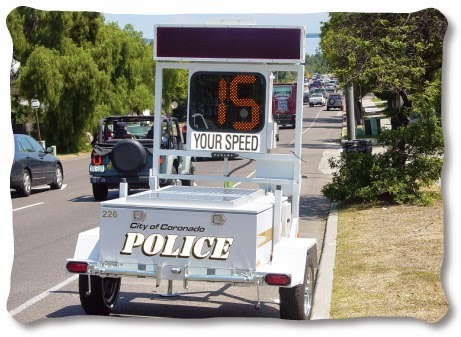 Reading from top to bottom we have first, The 1970 Chevy Nova SS350, Ashphalt Spreader, Prius Taxi, BMW M3, The Schwimmwagen, 2015 Kia Soul EV, 2015 Ford Mustang, and finally….a Speed Trap Trailer. I’m still looking for more ideas…..Keep them coming!!! The White Night’s Take over the next Report! In my last report I asked you to talk with younger children in your family and ask them what cars they like that are on the road. So far only one person responded and the model of their kid’s choice was the Audi Avant. Expensive little tastes for kids, I might add!!! Well it’s a start….. Anyone else have some kids in the neighborhood they can ask? Let me know what they had to say. Thank you for your participation.